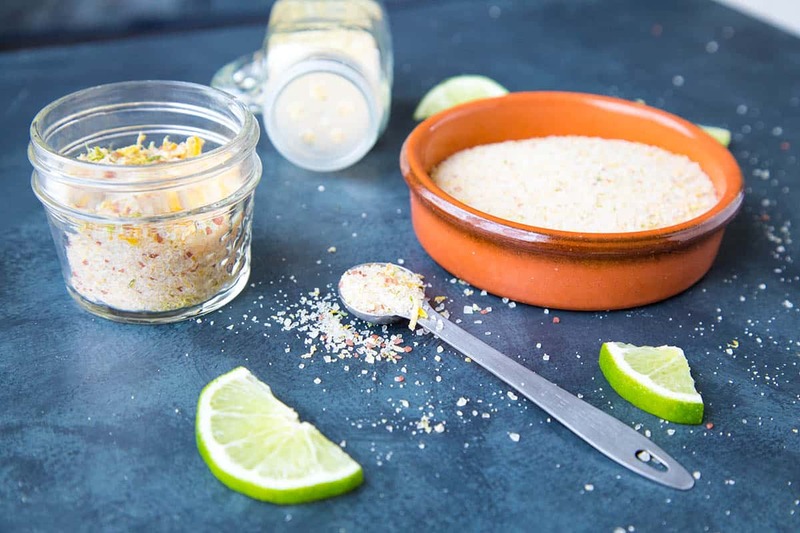 Make your own citrus salt at home with a mixture of sea salt and both lemon and lime zest, using either dried zest or fresh zest that can be dried in a dehydrator or oven. Here is the recipe. If you’ve ever purchased a good citrus salt, whether it be lemon salt, lime salt, or a blend of any salt with dried citrus, you realize it can be somewhat expensive. Don’t get me wrong, it is certainly WORTH IT to have a good citrus salt around the house. 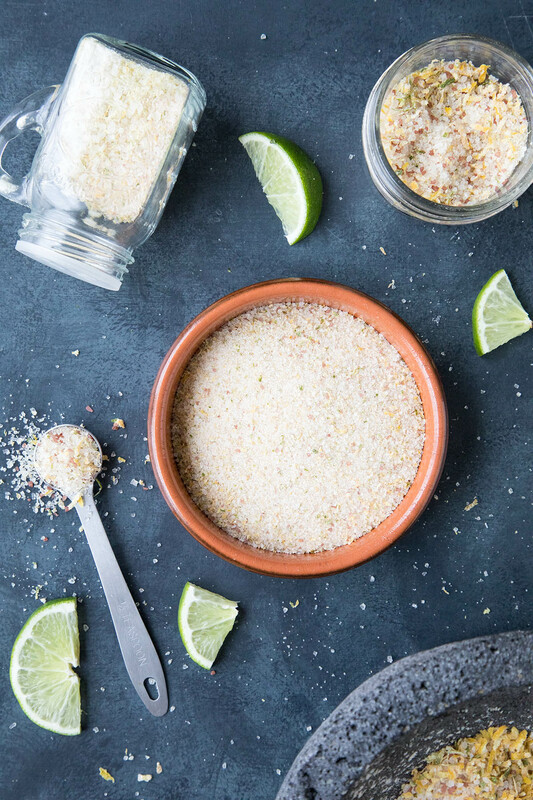 We use it all the time, in either recipes or as an flavor-boosting finisher for so many things, but to be honest, making it at home is SO EASY, I’ll never buy citrus salt from the store again. And! Because I can make it at home whenever I want, however I want, I am free to create different versions of it for varying purposes. Want a bit of lime salt on that salad tonight? Sure! How about a pinch of lemon salt on that avocado toast? Yes, please! Or Perhaps a smidge of grapefruit-lemon-lime-chili salt around the margarita glass rim? Go for it!!! It saves you money for sure, and it allows your creativity to soar. 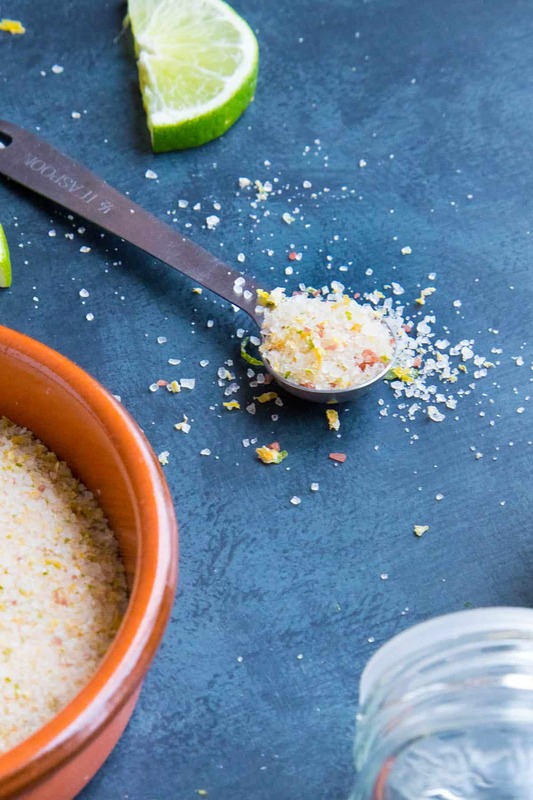 So let’s talk about how we make homemade citrus lemon and lime salt, shall we? 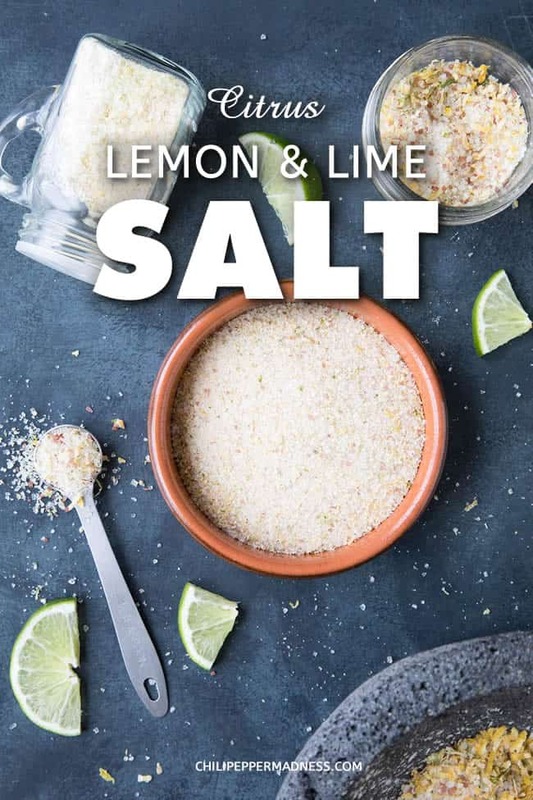 There are a couple ways you can make your own lemon and lime salt – Either with FRESH lemons and limes, or with dried zest. 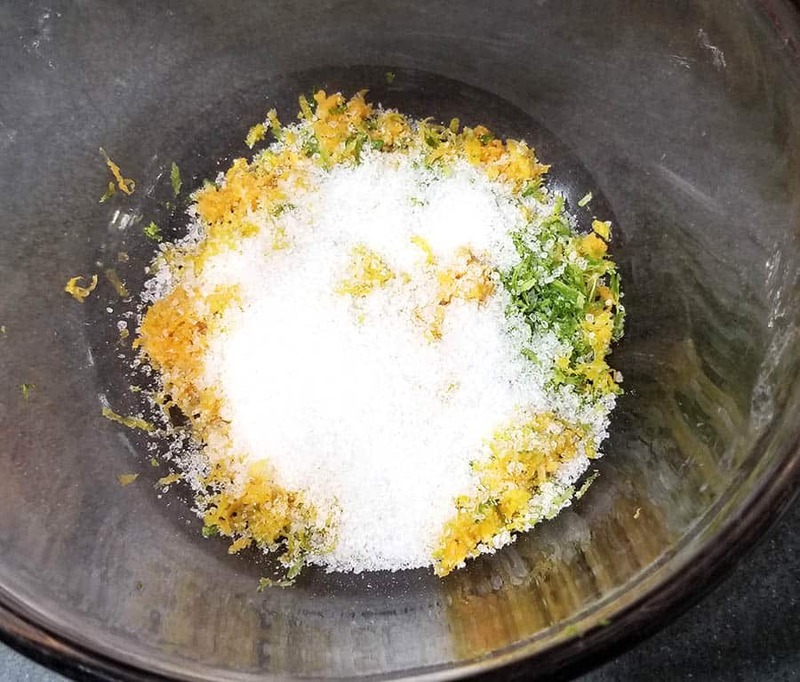 If you are working with dried lemon and lime zest, simply add the zest and 1 cup of coarse sea salt to a grinder and pulse it until the salt and zest combine. I used a molcajete for mine, which works great. You mainly want to break down the larger zest so it can properly mix with the salt. If you’re using fresh lemon and lime zest, go ahead and zest them with your citrus zester, like so. Use your hands to blend the salt and lemon and lime zest in a mixing bowl before dehydrating. The oils in your hand help mix them together. 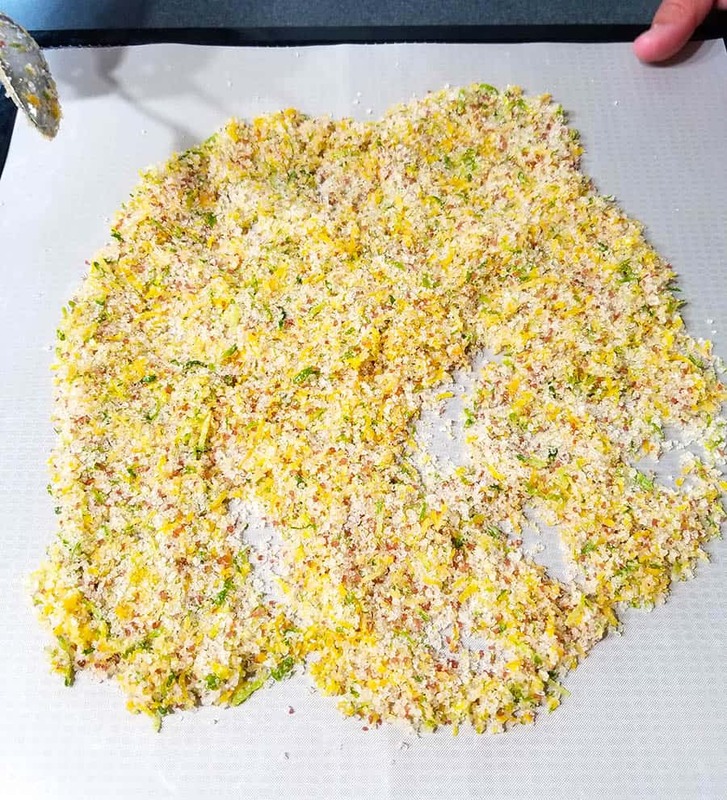 Next, spread the lemon-lime salt mixture over a dehydrator sheet and dehydrate at 125 degrees F for about 6-8 hours, or until the zest is completely dried through. Alternatively, spread the lemon-lime salt over a baking sheet and dry in the oven at 125 degrees F for about 6-8 hours, or until the zest is completely dried through. If your oven doesn’t go to that low of a temperature, crack the oven a bit to let in some air flow. Next, grind down the larger zest into the salt with a mortar and pestle. I used my molcajete. A spice grinder works as well, but try not to over process. Use your new lemon and lime zest as needed. You can use your citrus lemon and lime salt to season your food as you cook as you normally do. This will layer in a bit of the citrus flavoring. Or, my favorite way is to use it as a finisher. It’s such a beautiful way to add both a salty and citrusy pop to whatever you’re eating. Just shake bit over your fresh seafood or into a zesty salad. Add a pinch to a margarita, even rim the whole glass. It is great in a bloody mary, and over anything grilled. Our favorite is sprinkled over freshly made avocado toast. I don’t even think about making that without having citrus salt on hand. I am a salt fanatic and also a citrus fanatic, so this is something I need in the house at all times. It elevates a fresh fish dish so quickly and so wonderfully, but most important is for my cocktails. I love tequila and make a lot of citrus tequila drinks so this adds that fresh pop of the citrus zest and the salt I crave in a margarita. 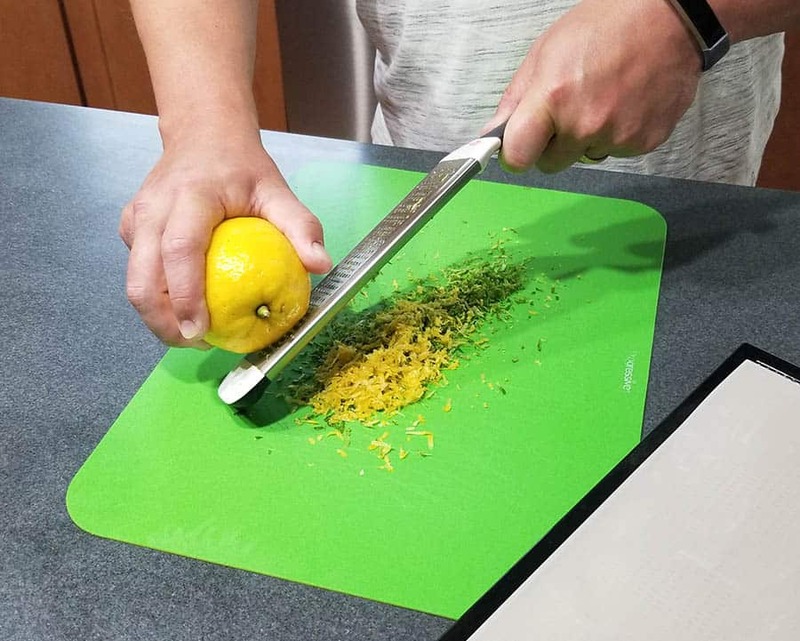 Use a zester to zest the lemon and lime. Save the fruit for a later use. Use your hands to blend the salt and lemon and lime zest in a mixing bowl before dehydrating. The oils in your hand help mix things up. Spread the lemon-lime salt over a dehydrator sheet and dehydrate at 125 degrees F for about 6-8 hours, or until the zest is completely dried through. Alternatively, spread the lemon-lime salt over a baking sheet and dry in the oven at 125 degrees F for about 6-8 hours, or until the zest is completely dried through. If your oven doesn't go to that low of a temperature, crack the oven a bit to let in some air flow. 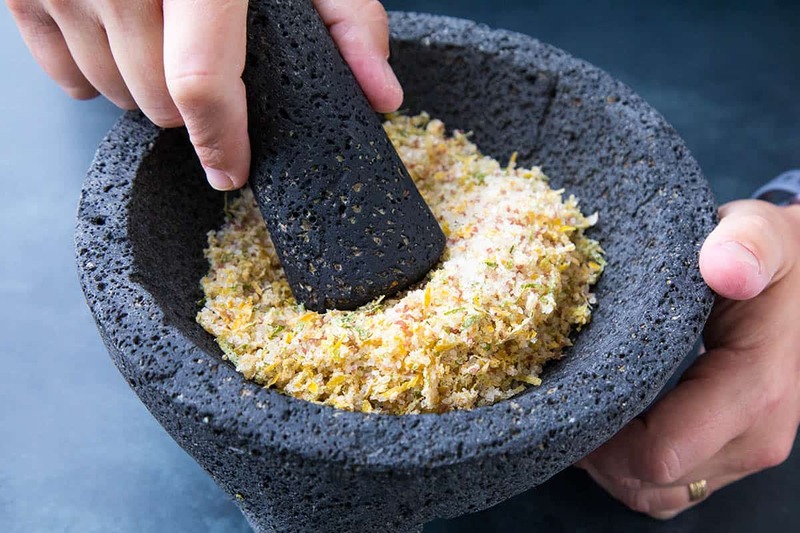 If using DRIED lemon and lime zest, simply grind down the zest into the salt with a mortar and pestle. I used my molcajete. A spice grinder works as well, but try not to over process. Use as needed. 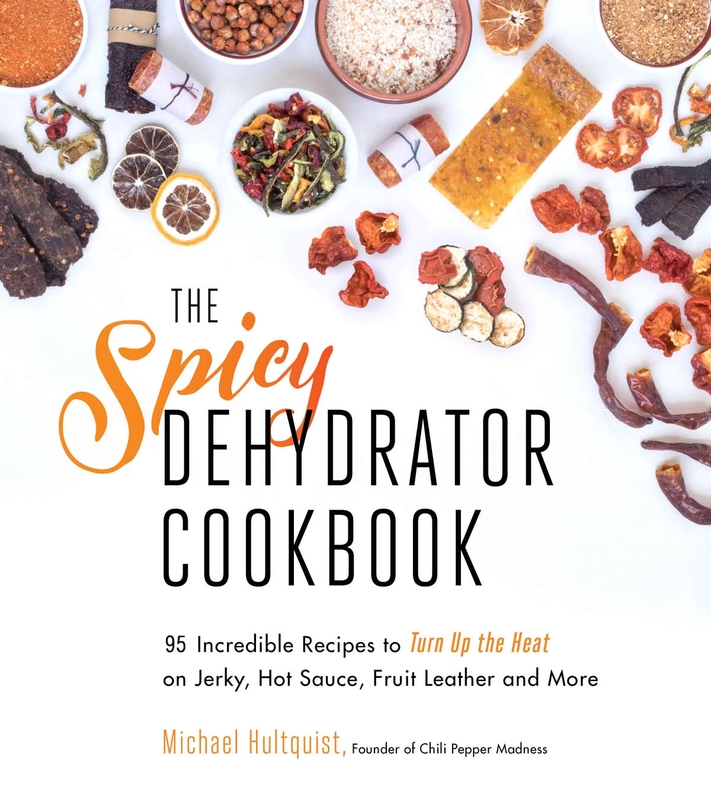 Also, I hope you’ll check out my cookbook – The Spicy Dehydrator Cookbook – with loads of recipes and method for making your own spice blends from fresh produce, jerky, fruit leathers and so much more. This is both easy to make, really useful and tasty! Adding one or two super finely chopped Habanero Lemon or Lemon Drop/Hot Lemon makes this salt even better! Using it as a rub for fish and frying the fish in butter is all you need to make really great salmon. The salt kan even be sprinkled over some small potatoes and asparagus! Now I know what I’m having for dinner tomorrow! I’ve never had a citrus salt on any drink or in any dish before, so this sounds so intriguing! Can’t wait to try it out, thanks for the recipe! Great! I hope you enjoy it!! Hello, I am following your site with joy, as a foodie all right. The salt and citrus mix is absolutely very good, I have my own blend and use it very often. But I am also using it with a pinch of smoked paprika and a pinch of sugar! for dry marinating fresh salmon in small cubes. Just half an hour or so, then a few minutes in a frying pan, Small, fresh potatoes and that’s all. (And a good white wine). Sounds PERFECT, Ann-Mari. I appreciate the comment!